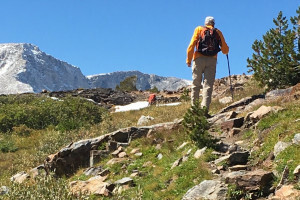 Fully-supported hiking tours throughout Yosemite National Park's best trails & attractions. Committed to adventure for over 35 years – we know adventure! We will create a memorable, custom guided experience for you, whether you have a day or a week in the area. Or join our great naturalist-led small group adventure. Whether you prefer day hikes or overnight camps, our experts will expose you to the best the Park has to offer. Great photo opps along the way, no extra charge. Let us show you the hidden secrets found in Yosemite's backcountry, including hidden waterfalls, wildlife hangouts, wildflower meadows and clear streams. Amazing discoveries. 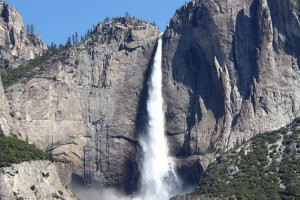 Personalized tour and travel services by A Friend In Town offer plenty of time to appreciate Yosemite National Park. Full-line watercraft rentals, from jet-skis and kayaks to paddle- and houseboats. Sightseeing and fishing tours; RV and boat facilities. With 30 years experience flying North America's most scenic skies, Courtney Aviation offers sight-seeing aerial tours of Yosemite, Tahoe and King's Canyon. Eco-conscious & family-friendly tours by expert guides take the worry out of your Yosemite vacation for the trip of a lifetime. A stunning 14 hour motor tour of beautiful Yosemite Valley. Plan a fantastic outing with Green Tortoise Adventure Travel! Many adventures await in their detailed planning section. 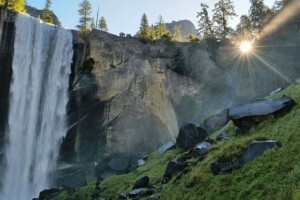 Whether your a single, couple, family, or group IA has the tour package for you on our 1,2, or 3 day Yosemite packages. Immerse yourself w/ us. Full service tours of National Parks in the west including Rushmore, Yellowstone, Grand Teton, Yosemite, Utah Parks and more! Provides coach tours originating in Central California, with a variety of destinations in California and throughout the country. YFA offers private guided fly fishing, gold panning and stargazing tours. Our family adventure package combines all our adventures into one amazing day of family fun. 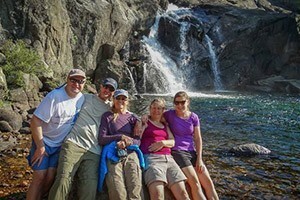 Private Yosemite fly fishing trips for all ages and experience levels. Spend the day fly fishing in Yosemite's many rivers with a professional, Yosemite fly fishing guide. We will guide you on your next adventure! Centered around facilitating Hang Gliding at Yosemite National Park, the Yosemite Hang Gliding Association administers all Hang Gliding in Yosemite. Narrated steam train rides near Yosemite Park, the Yosemite Mountain Sugar Pine Railroad offers an opportunity for riders to experience the past in the Sierra National Forest. Flyfishing Fishing Guide and Outfitter in the Yosemite Sierra Region; catering to beginner thru advanced fisherman. Bus tour to, from, and within Yosemite National Park.